Welcome to Stadham Corp of Md. Since 1961, Stadham Corporation of Baltimore, Maryland has operated as a wholesale distributor of dry cleaning and laundry supplies. We expanded to the industrial sewing machine trade in 2001. 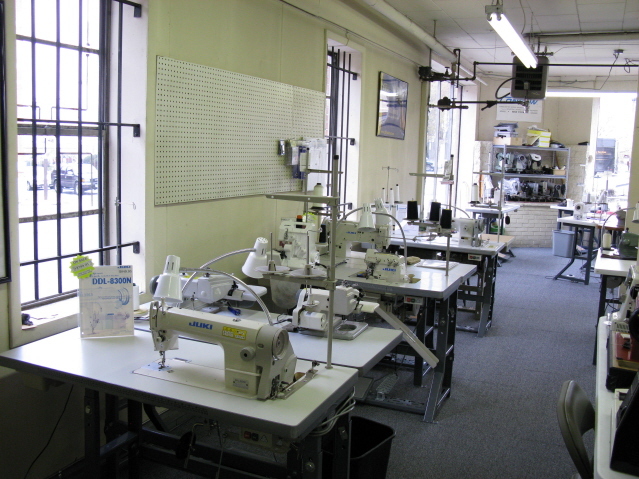 We now offer a full line of industrial new and used machines, including straight stitch, blind stitch, sergers, walking foot and other items related to the garment trade industry. Some of the brands we carry are Juki & Consew sewing machines, and Ace-Hi and Naomoto irons & pressing equipment. Please visit our showroom at 3232 Frederick Ave. Baltimore, Maryland. The machines are on display for you to sew on. You may bring the type of material you will be sewing with or use ours. Service: With over 25 years experience David Tharp will repair your machines in your home or bring your machines to our location .